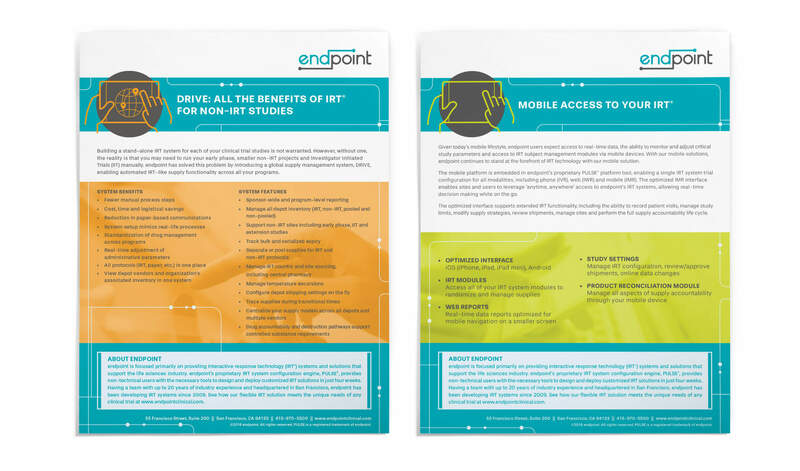 As a player in the competitive interactive response technology (IRT) industry, endpoint was committed to differentiating itself from its competitors. 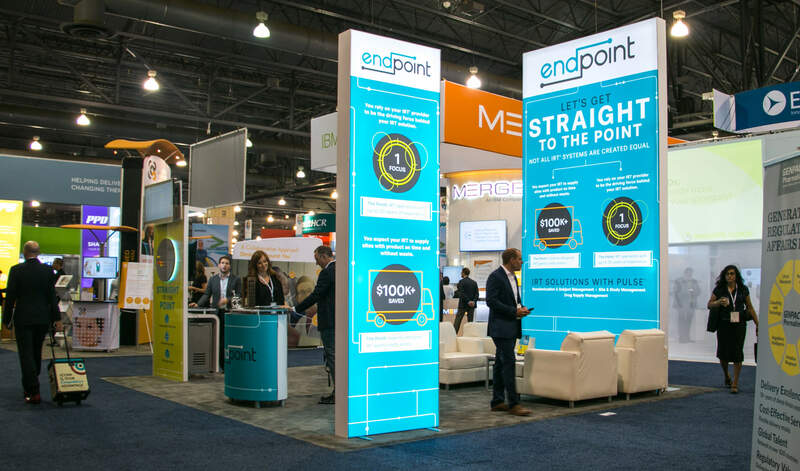 endpoint turned to SCORR because it felt its current branding was outdated and lacked the strategic messaging and visual impact it needed to stand out from the pack. As an IRT solutions provider, endpoint designs and deploys flexible and customizable IRT solutions for pharma and biotech organizations and CROs. 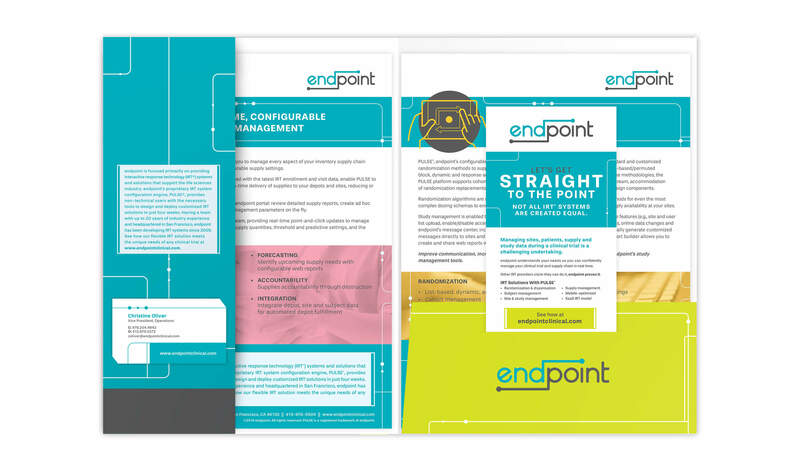 Unlike its competition, endpoint employs both baseline, off-the-shelf products and customizable platforms, depending on the individual needs of each client. SCORR examined the IRT industry and noticed a trend: Like endpoint, most companies lacked proof points and differentiation. To set endpoint apart, SCORR determined it was time to get straight to the point. 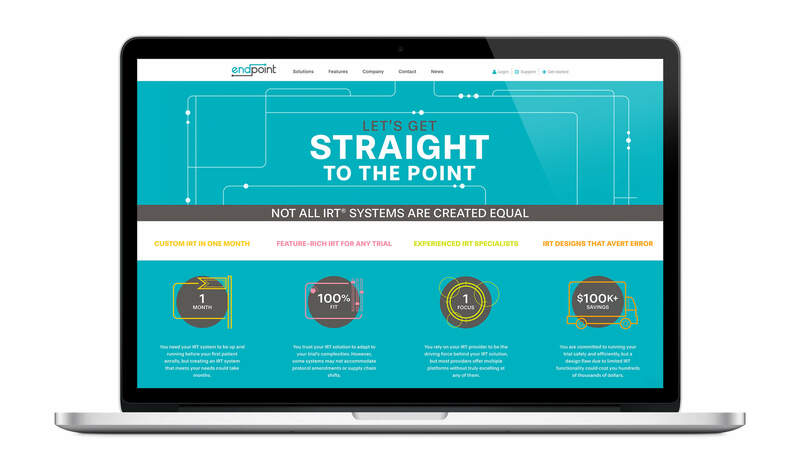 endpoint specialists provide customizable IRT systems in just one month. 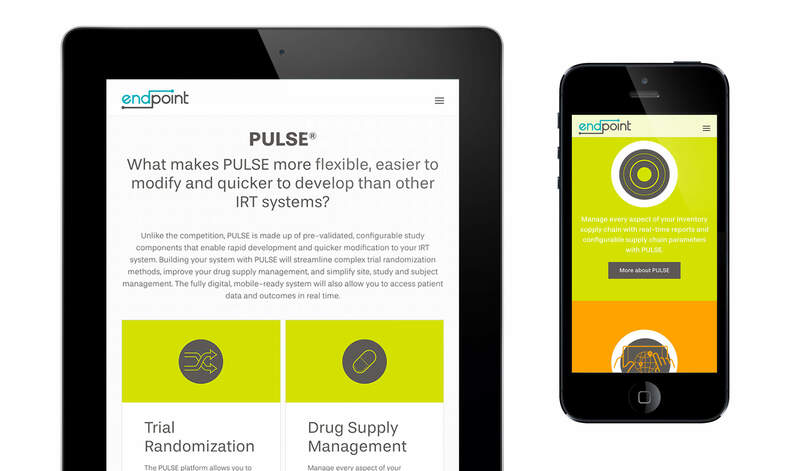 Pulse®, endpoint’s proprietary IRT system, is feature-rich and can accommodate any trial. Unlike its competitors, endpoint is solely focused on the IRT industry. 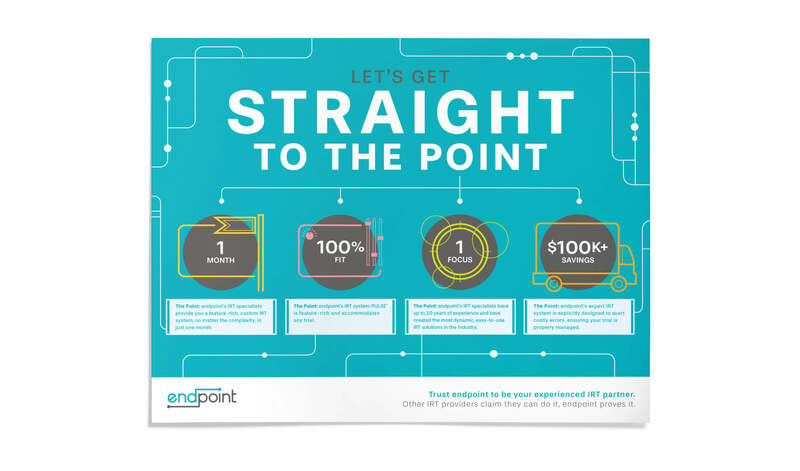 endpoint’s IRT systems are designed to avert costly errors, saving their customers on average over $100,000. SCORR used these four factors to deliver a direct message to endpoint’s audience with the tagline “Let’s Get Straight to the Point.” This strategy helped position endpoint as the industry leader without revealing too much and risking imitation from competitors. To ensure endpoint stands out visually and its brand matches its services and capabilities, SCORR updated its look with a new color scheme and a simpler identity that communicates its key differentiators. Its logo employs circuit-board-like visuals that convey a direct hierarchy to match its messaging. To incorporate this branding, SCORR redesigned endpoint’s website, collateral and trade show materials. 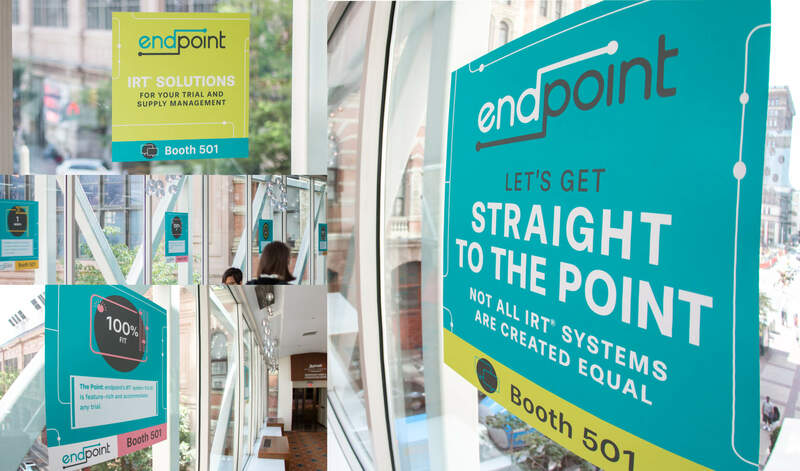 To unveil endpoint’s new branding, SCORR redesigned endpoint’s trade show booth to launch at the industry’s largest trade show, the Drug Information Association (DIA) Annual Meeting. 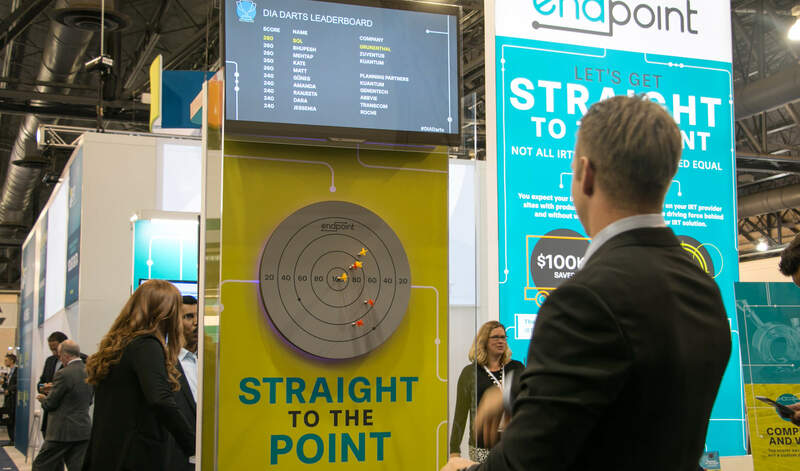 Previously, endpoint had avoided in-booth activities and was restricted with its booth layout, but SCORR opened the space up and incorporated a “Straight to the Point” dartboard to capture attention and draw people to the booth. To keep people engaged, SCORR provided real-time social media updates on the best scores and who won each day. 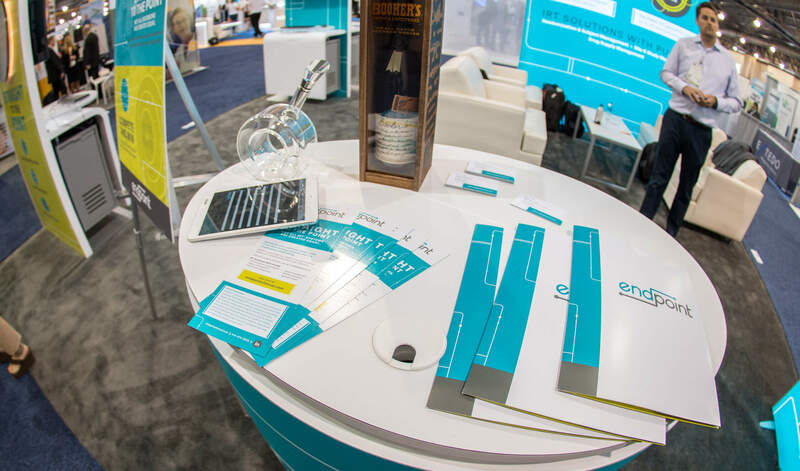 endpoint also had a bourbon giveaway to promote a networking event that it hosted at a nearby whiskey bar, which helped double its trade show ROI. 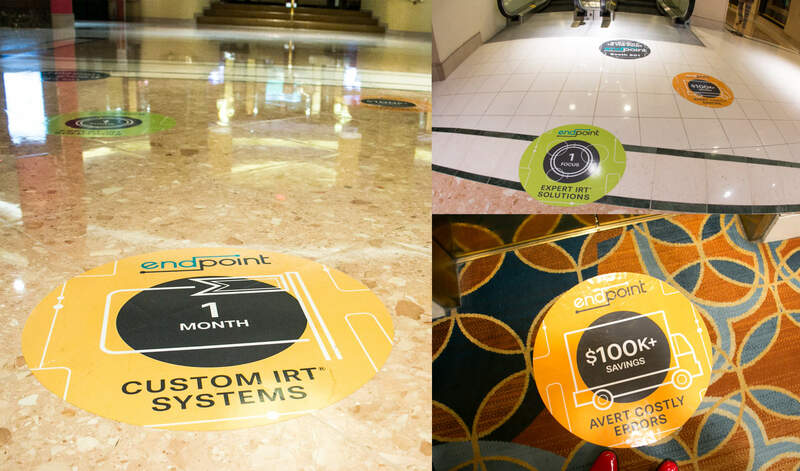 In addition, endpoint’s promotional efforts at the show included floor and window decals throughout the hotel and convention center, as well as email marketing and LinkedIn direct messages.